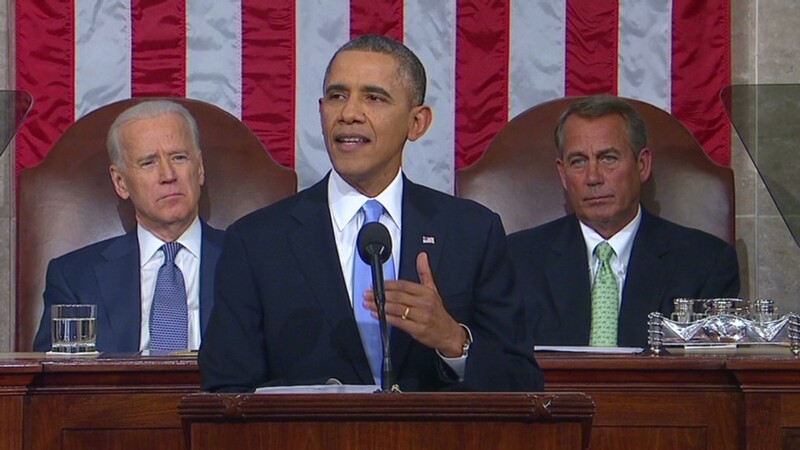 About 31.7 million people watched Tuesday night's State of the Union address on television. Does that sound like a surprisingly high number to you, or a woefully low number? The answer may depend on your opinion of President Obama and your optimism about Americans' civic engagement. According to Nielsen, 31.7 million makes Tuesday the lowest-rated State of the Union of the Obama presidency -- but not by much. Last year about 33.3 million people watched. Obama's highest-rated State of the Union was his first, in 2009, when 52.4 million people tuned in. The total audience has declined each year since. This time around, the president was battling both second-term fatigue and the same thing television executives are battling: seismic changes in how people are watching TV. Some explanation is in order: Nielsen's estimates only include viewers who watched on TVs at home in the United States. Viewership via the Internet is measured separately, and no comprehensive data is available for Tuesday's speech. The White House said it recorded more than 1.2 million views of its speech video stream over the course of the night -- but it didn't release the average minute-by-minute audience, which would be more comparable to the Nielsen numbers. White House officials sought to make the speech "go viral" by promoting policy proposal "spoilers" days ahead of time; by having Obama encourage tune-in through YouTube, Facebook and Twitter; and by publishing the text of the speech on Medium in the minutes before it was read aloud. On Wednesday the White House said clips from the speech received "almost 1.5 million views on Facebook" while the speech was still happening. Nielsen provided another new media metric for the speech: 9.7 million people on Twitter "saw one or more of the 2.6 million tweets sent in the U.S." about the speech, the company said. Television is still the dominant medium for a political spectacle like the State of the Union, though. CBS, bolstered by the popular drama "NCIS" at 8 p.m., had the biggest single audience for the speech at 9 p.m. -- about 7.3 million. NBC had 5.3 million, ABC had 4.6 million, and Fox had 2.8 million.